This is the new AlkaViva Melody II with H2 infusion technology; its like getting an Athena for the price of the the of Melody. Since we have been in this business we have not met a customer who did not love their Melody and the new Melody II promises to keep that tradition going. The new Melody II has been updated to improve performance while still giving you the same solid reliability that it has been known for and which lower priced products often lack. Dual-filtration system. 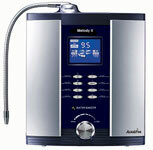 The new Melody II has two filters that perform distinctly different roles in cleaning your water like never before. 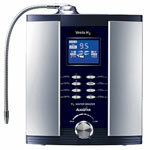 You can be assured that you are drinking clean alkaline water with your new Melody. Performance. The Melody II is designed specifically for optimal filtration, pH and ORP performance in drinking water, the Melody II will outperform other ionizers in this price range. It also will produce excellent acidic water for topical uses. 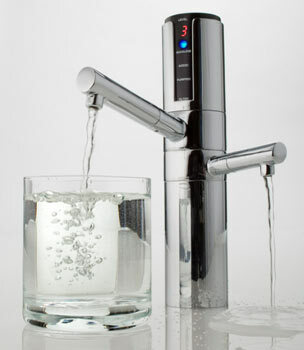 Real-time Flow Control System. Optimal flow rate is also critical in achieving optimal hydrogen performance. The Melody II’s RTeal-time Flow Control System provides you an LCD display and a selectable valve that allows you to set easy and precise control of your flow rate – every time you use it. Pre-filter: An inline sediment filter. Unless otherwise stated please consider all the statements on our web site have not been evaluated by the Food and Drug Administration. The products mentioned on this site are not intended to diagnose, treat, cure, or prevent any disease. Information and statements made are for education purposes and are not intended to replace the advice of your family doctor.